Since October 2017, IAM members and their families have been eligible to earn an associate’s degree from Eastern Gateway Community College at no cost. Eastern Gateway Community College is a fully accredited college with degree programs in business management, accounting, criminal justice, associate of arts, and many more. Credits are transferable towards a four-year degree program. In true Fighting Machinists fashion, members are enrolling at Eastern Gateway Community College and leading the way. IAM students are taking an average of 8.7 credits per term, which is nearly .5 credits higher than the entire union student population. With each academic term, more and more IAM members are taking advantage of this benefit. Hundreds of members are currently enrolled in this term, more than quadrupling the number of members from the previous term. 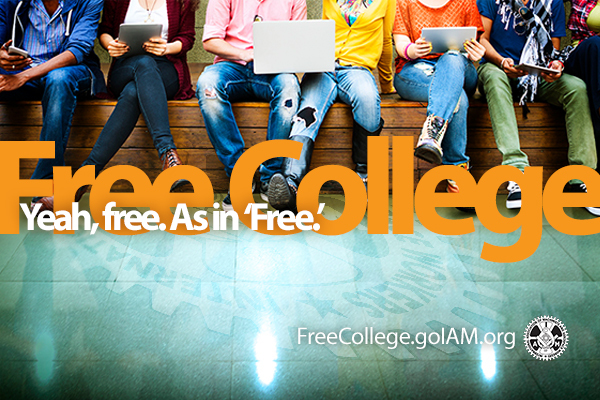 Join the hundreds of IAM members already working on their degree. This is a unique opportunity — available only to union members, their families and retirees. Get started on your college degree.